If you ask google, today is the first day of fall. If you ask the weather channel it was yesterday. I’m going to go with today, since the autumnal equinox is what determines the first day of fall, and it happened at 10:29 P.M. last night, thus making today the first full day of fall:) So, there you have it….happy fall, everyone! 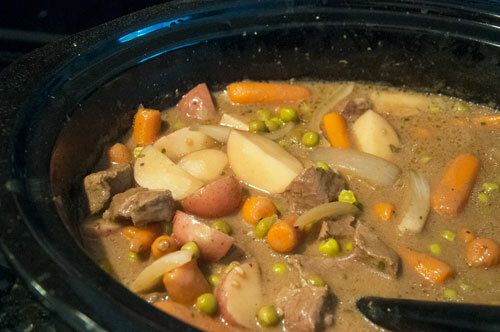 To celebrate, I’m going to show you how to make one of my all time fall favorites, crock pot beef stew! I absolutely don’t know what I did before I owned a crock pot. I’m actually a little upset with myself that I didn’t have one during college. 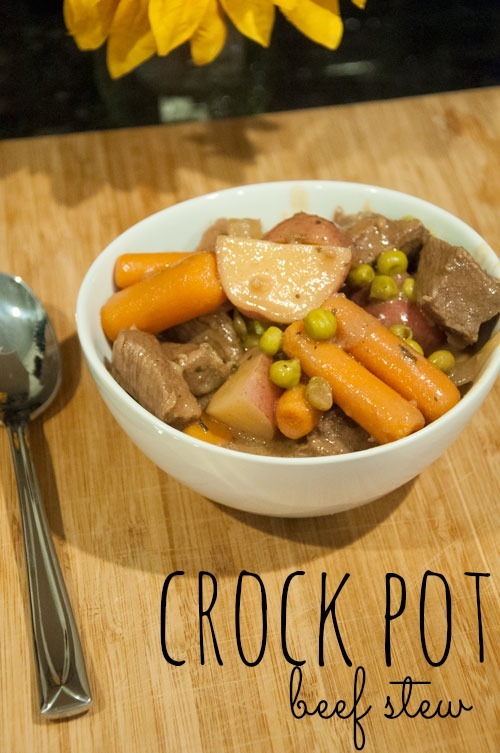 You can make such cheap delicious meals with a crock pot with minimal effort. Apparently I was too lazy for even a crock pot. 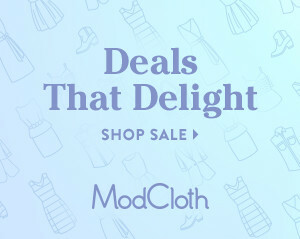 <sigh> Well, thankfully I grew out of those lazy college days, got myself a crock pot, and have been making fantastic home cooked meals ever since. My husband would probably tell you that it’s the best gift he has ever given me…he gets great homemade food, I get to feel like I’ve accomplished something, it’s a win win really. 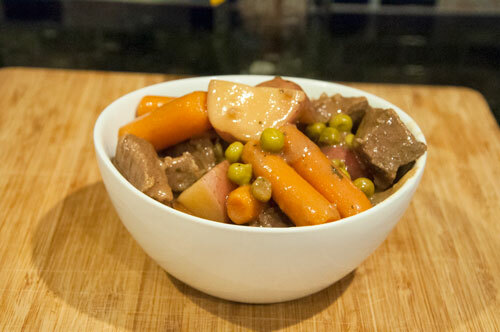 Well, here you have it…the recipe of the season: crockpot beef stew! 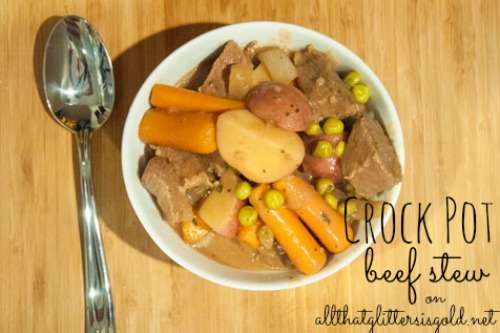 Cut your meat and veggies into small pieces and place in crockpot (this is the one I have, I love it!). 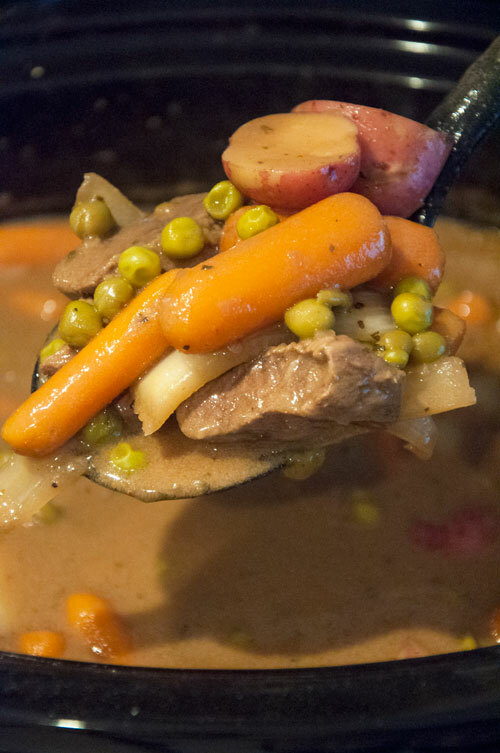 Add beef broth so that it is just covering all of your ingredients. Add seasonings- I like to add basil and oregano and a dash or so of crushed red pepper. I also like to add a bit of minced garlic as well. Add your 1/4 cup of flour and mix thoroughly. This will help to thicken the broth while cooking. You can also add a little bit of heavy cream if you would like to. Let cook on high for 6-8 hours depending on your crock pot. When you are almost ready to eat your meal, stick some buns or, my favorite, crescent rolls, in the oven. Serve by itself or over rice!